I need it for my trip travel at my school. Group Rosary is said in my church every Sunday, at times the person saying a decade can not be heard. 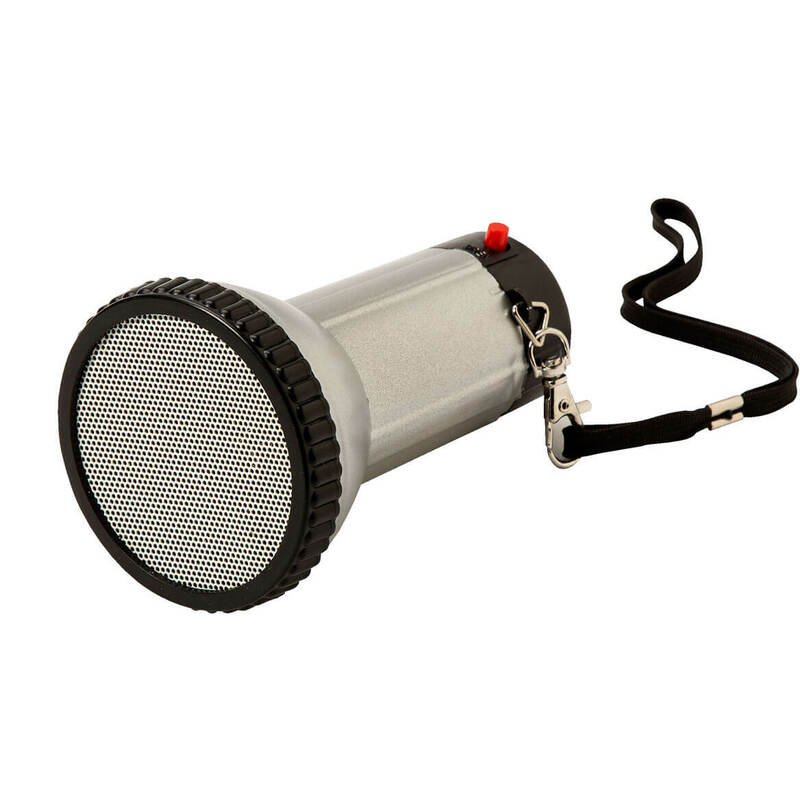 Looking for a small mini megaphone for my kids sports..
this is for my grand daughter. To holler at neighborhood kids throwing rocks at my dog. I want their parents and neighbors to hear! I am hoping to help my beloved hear our conversations better, with her difficulty hearing and anti-hearing aide inclination. 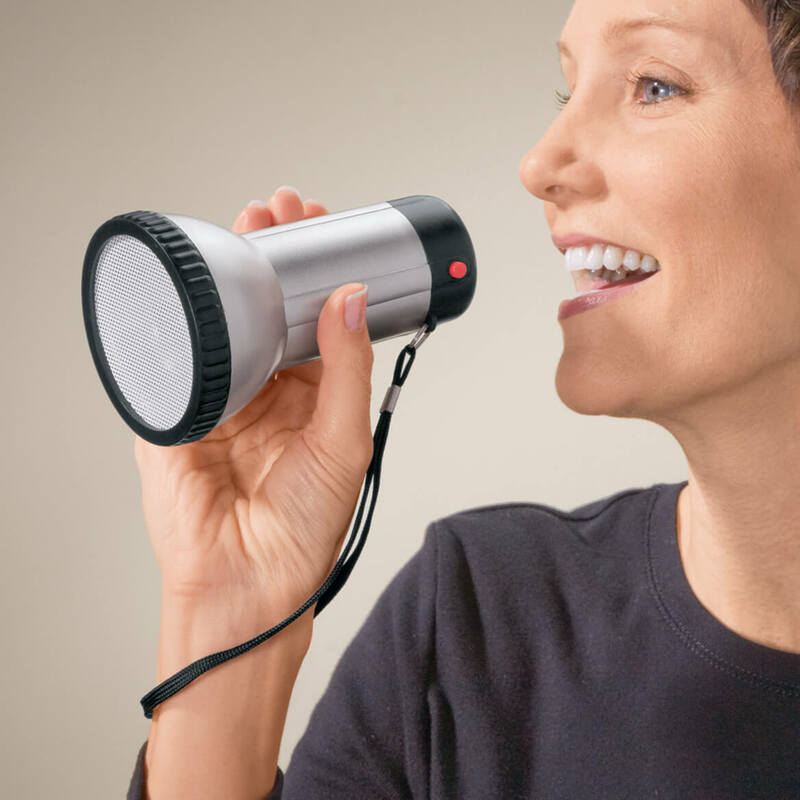 The megaphone has great portability, and uses AAA batteries, instead of having to keep it charged. I hope this item will be a useful tool in many different situations that I may happen to find myself in! need it for meetings Some people say they can't hear the microphone. I have problems projecting my voice. Small, low power, just right for inside use. Suggestions; post weight, and output wattage. Great web site, BTW. My husband says I'm too softspoken and he can't hear me speak. Hoping this will do the trick, or be good for a laugh the next time he says that. I have chosen this personal megaphone. I hope it helps me. For spouse of somewhat deaf individual. My trainer's voice is starting to be strained, and she has to do tours all over a theme park. This is perfect because of its portability. 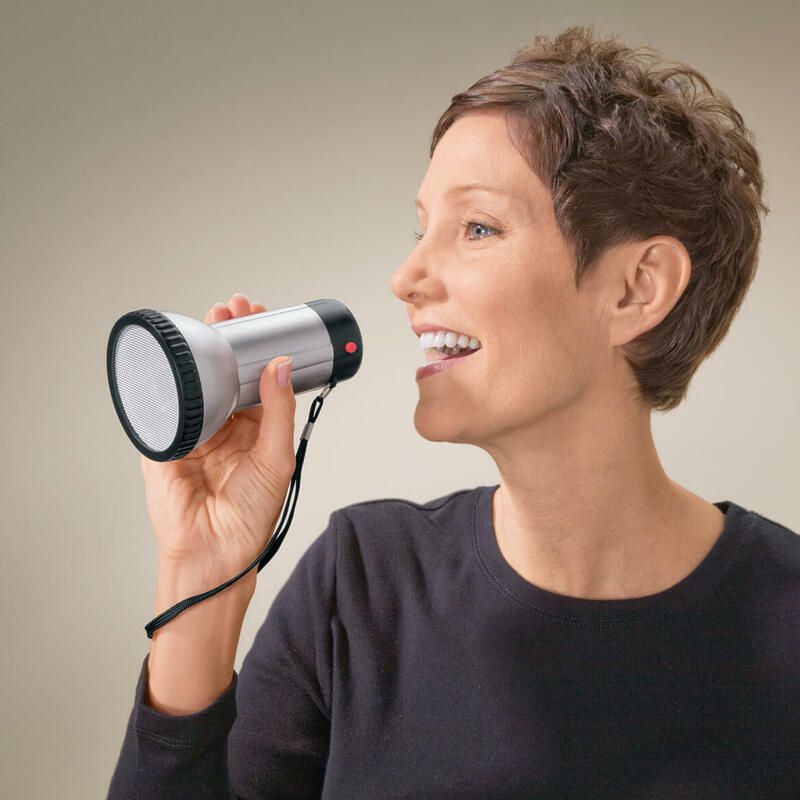 How many watts is the Personal Megaphone 304436? There is no indication on the enclosed paperwork or the megaphone of the wattage. However, it is powered by 3 1.5v batteries and is very loud on full adjustment. You can adjust the voltage to determine how loud you want it. It has a siren on it that also is ample loud. All-in-all, this is a great little tool to have. I'd purchase it again. Thanks, I know now loud a 5-watt megaphone is and was using that as a comparative. I have little doubt that this little horn won't do ok. I was just curious. Thanks again.